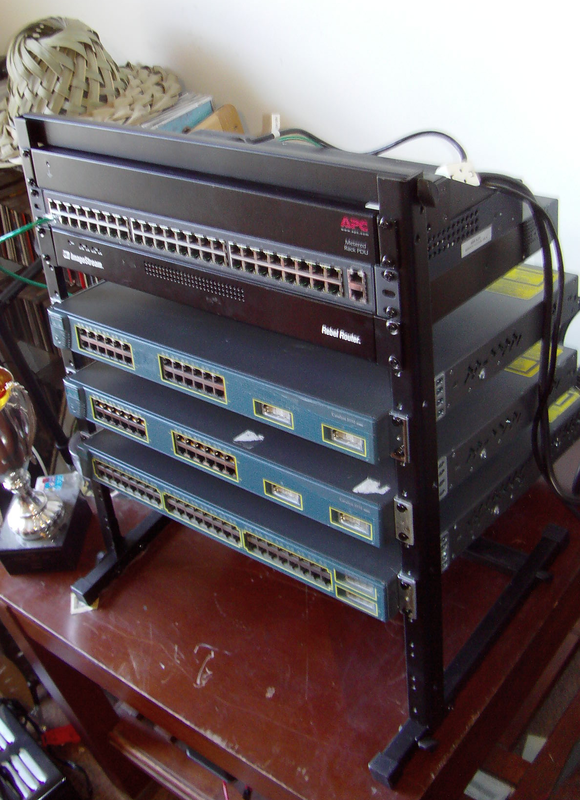 In the last few days, I’ve been working to build up my home networking lab. I’m using a fairly typical setup nowadays — real Layer 3 switches connected to a host machine that runs GNS3 as well as VirtualBox. Having recently installed Vyatta and Mikrotik RouterOS VM guests, I decided that I would play with something I’ve never touched before — Juniper’s JunOS. The documentation for how to install JunOS into a Qemu environment is constantly replicated across the web, so I have no intention of doing so here. (Have a look here to get yourself started). In my first few attempts to create a VM guest, I followed the instructions thoroughly, but eventually I opted to move the full creation into VirtualBox. That’s when I learned a lot about the nuances between installing on either platform. What makes this message odd is that I have plenty of disk space. It’s also odd that I only encountered this in my VirtualBox/vdi installations, not on Qemu/qcow2 installations. Before I dug any further, I rebuilt the VM using 10G of storage instead of the recommended 4G, and adjusted each of the individual partitions accordingly. This proved to be ineffective as I was once again greeted with this message. The warning message is generated by the function “tmp_storage()” in the +REQUEST file inside jinstall-8.5R1.14-domestic.tgz. One of the expr calls is failing, but I never bothered to dig into why and instead removed it with a quick patch. The bootstrap installation now appears to be good and will prompt you to reboot. At this point, ensure that you have serial port 1 redirected to a host pipe. If you don’t, shut down the VM and add one — you will need it to see what’s going on. 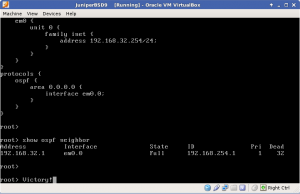 You can attach to the host pipe a few different ways, I prefer to have socat connect to it and create a /tmp/juniper0 PTY that I can hook into from minicom. Do keep in mind that socat doesn’t respawn automatically, so if you disconnect from the PTY link you may have to restart socat. Upon reboot, the system would now install up to a point and then hang. After a few moments it was obvious something didn’t give. A few reboots later I realized that this was going nowhere. Since my test build in Qemu alone did install, I opted to simply convert the qcow2 file to something I could import into VirtualBox. 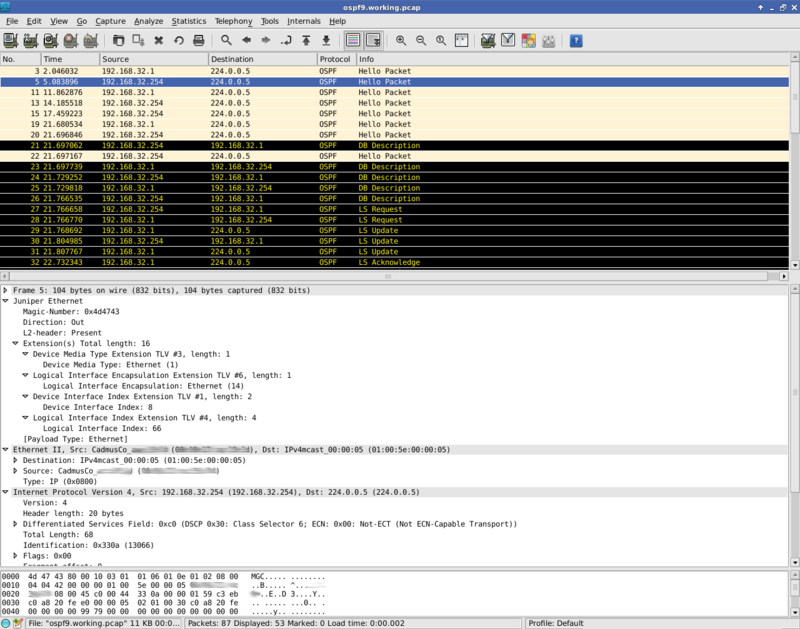 However this caused an interesting bug: Prior to installing JunOS, packet captures on the guest indicated that OSPF all-router multicast messages were entering the guest VM. After installation, that was no longer the case. I tried numerous times to resolve this, but with no luck. If you see this message, make sure that you’ve properly replaced checkpic with /usr/bin/true. In my case, I had accidentally just copied true to the directory and didn’t replace checkpic. After fixing my mistake, the bootstrap installation succeeded and prompted me for a reboot. After reboot the full install commences. I was quite surprised when it completed without any problems. I was skeptical that this was going to fix the multicast problem, but lo and behold, post reboot multicast actually functions. Low and behold – it works! 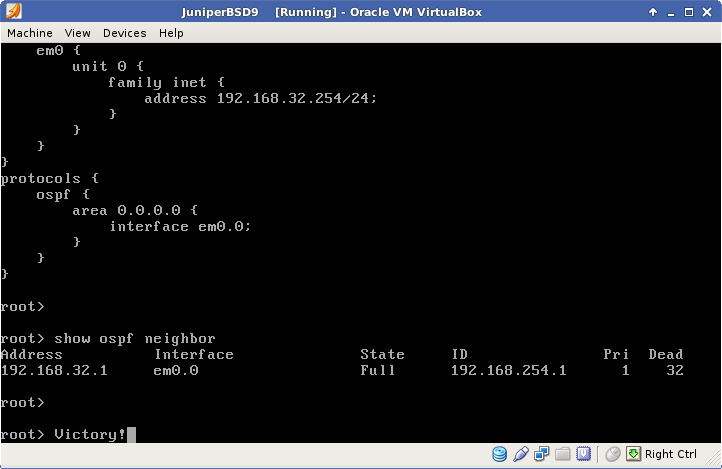 So in the end, my working VirtualBox JunOS instance consisted of FreeBSD 4.11, JunOS 9.6R1.13 and VirtualBox 4.2.12 r84980. Proof is in the Olive pudding.